Every year about this time, some joy-riders decide that it will be fun to get into the wetlands at Gull Harbor. 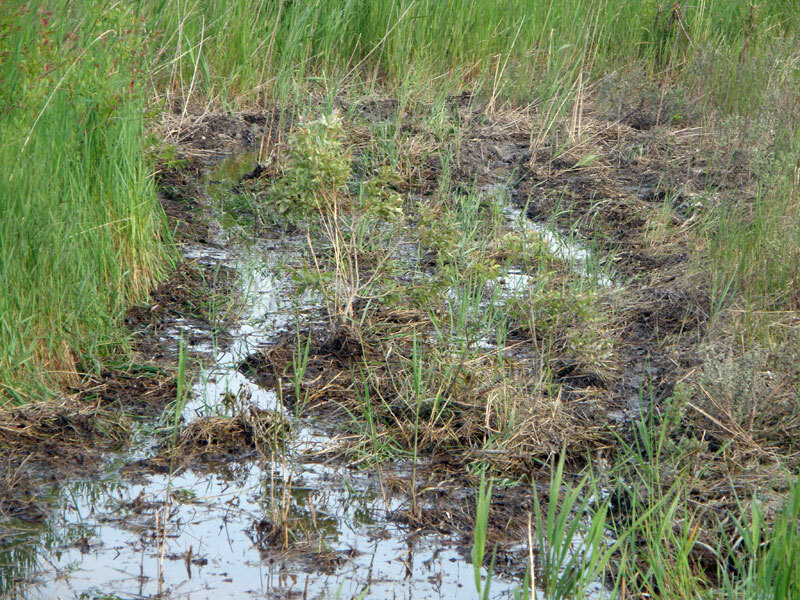 They tear around there, and quite literally tear up the wetlands. 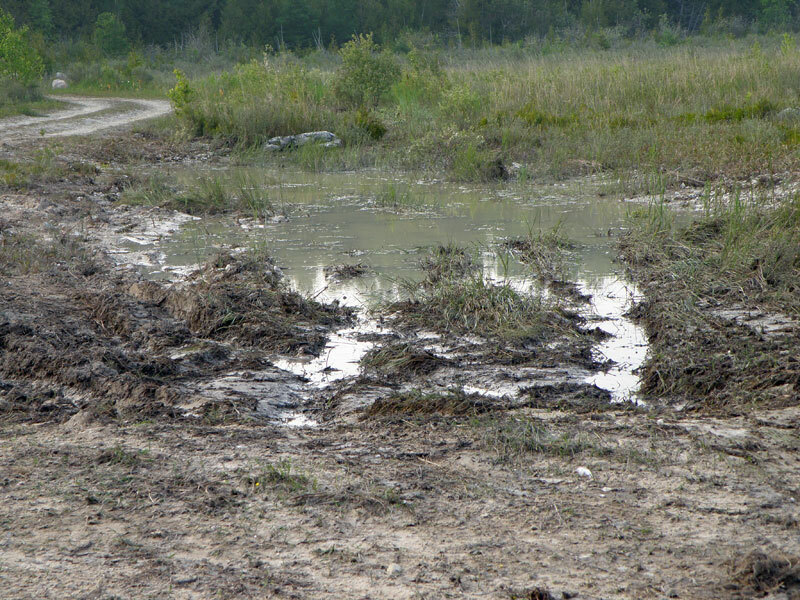 In previous years, the area of destrucdtion was smaller than it is in June 2009. 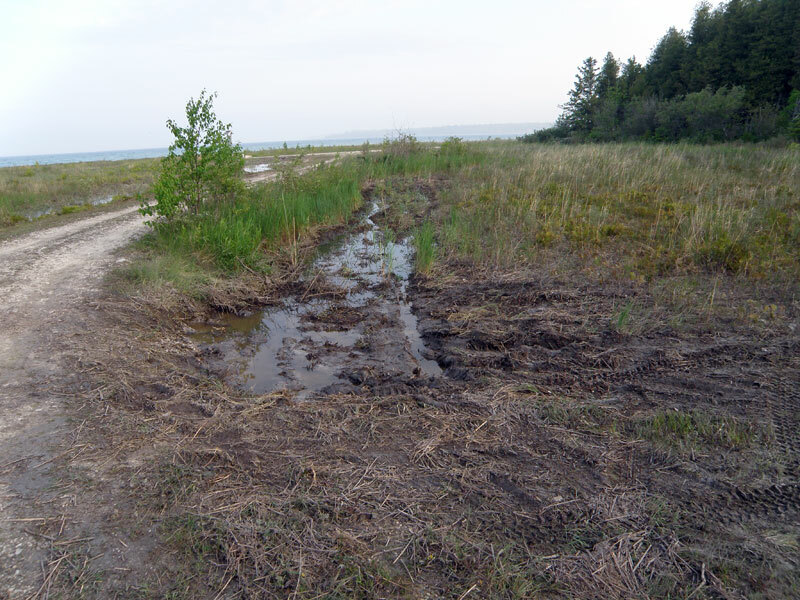 It is unfortunate for proponents of ORV use that these vandals continue to enjoy themselves at the detriment of the environment of Gull Harbor because this type of activity is usually blamed on the the ORVers. Since the Gull Harbor area is a protected "Natural Area" with a sign posted right next to the vandalism, it is obvious that these vandals are not caring individuals. In fact there is only one description for these vandals--ignorant, destructive, and immature. It would be really terrific if they got caught and were required to put the environment back the way it was. It would be even more satisfying if they had to do the work by hand supervised by law enforcement, but we all know that there is a very good likelihood they will never be caught, nor will they ever be chastised by anyone. On Beaver Island, it would be very responsible, but not very popular, to have a talk with these vandals, whatever their age. 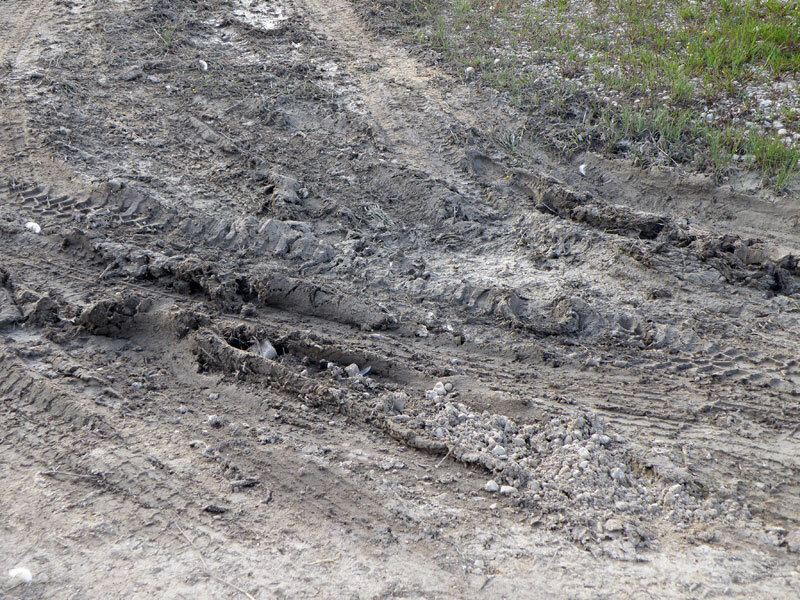 It must be obvious to someone that the vehicle comes home covered in clay, mud, and/or grass. It must be obvious to someone that their friends or relatives are the vandals. If you are one of the vandals, one of his/her accomplices, or a friend or relative, please have consider the possibility of stopping this damage to one of the most delicate, yet most beautiful areas of Beaver Island. If you know who is doing, this please help to stop the vandalism.